Nancy & the Nightcrawlers are the premier rockin' blues band - the band to see for live blues in Los Angeles, CA and surrounding areas. Nancy fronts the band belting out major blues barnburners like Dr. Feelgood, I Just Want To Make Love To You, Got My Mojo Working, Sunday Kind of Love, Since I Fell for You, Spoonful, When I Make Love, Better Off With The Blues, Rain on My Window and a lot more! Plus the band ROCKS Mustang Sally, I Feel Good, Caldonia, and will keep you rockin' all night long. If you love the blues and love to dance, you'll love Nancy and the Nightcrawlers. Playing rock and classic blues, Nancy & The Nightcrawlers is one of the most energetic and crowd pleasing acts in Southern California today. Based in Los Angeles, Nancy & The Nightcrawlers are masters of the genre. Fronted by the powerful and dynamic vocalist Nancy Nisi, along with Armando "Big Daddy" Fernandez on guitar, a true talent with a distinctive style, plus a brilliantly showcased rhythm section; Nancy & The Nightcrawlers has been recognized as one of Southern California's finest Blues and Rock bands. 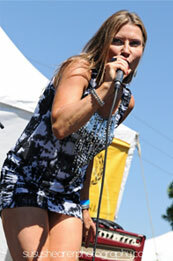 Nancy & The Nightcrawlers play classic traditional blues and authentic rock and R&B favorites. The show showcases great tunes by Albert King, Stevie Ray Vaughan, B.B. King, Etta James, Bonnie Raitt, Willie Dixon, Wilson Pickett and more. Classic songs like Sweet Home Chicago, Got My Mojo Working, Mustang Sally, I Feel Good and Standin;' on Shaky Ground guarantee a good time to audiences everywhere. Don't Miss Nancy & The Nightcrawlers! 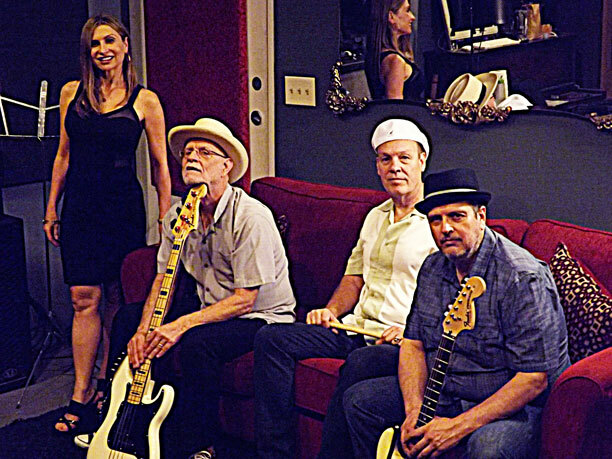 Nancy & The Nightcrawlers are bringing their brand of Blues, Rock and R&B to your area! Plus Classic Traditional Blues and Authentic Rock and R&B favorites. for booking info and upcoming shows. I wanna show that gospel, country, blues, rhythm and blues, jazz, rock 'n' roll are all just really one thing. This is American music and that is the American culture. Blues, R&B, and Rock. One of Southern California's finest Blues and Rock bands.